Fixer Upper less than 2 miles from the Gulf of Florida's beautiful Nature Coast. 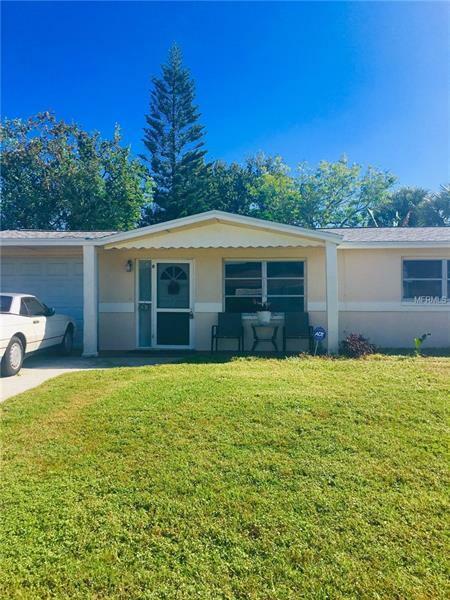 This ranch style home offers an oversized backyard, Florida room that provides lots of natural light to the interior of the home and a screened back porch. Plenty of backyard space to add additional square footage if additional space is a necessity. A new roof was installed in 2017. Do long walks in nature parks, early morning fishing, afternoon tee times, and watching evening sunsets sound like the ideal environment for you? This home is located less than 2 miles from Nick's Park where you can launch your boat, jet ski or kayak. You can enjoy sunsets from a park bench or one of the many waterfront restaurants or pubs along the Nature Coast. Golfing is a hobby as well? You will love playing all the nearby golf courses discovering the ones suited to your skill level and making new friends along the way. Opportunity awaits the person or persons inspired by a renovation project and creating your own piece of paradise. Please don't delay - schedule your showing today!